A longtime reader of Maximum PC discovered his passion for building computers from reading our magazine, and now several years later, he's on Kickstarter trying to raise funds for Neutron. What is Neutron, exactly? Neutron is a NUC-like mini PC that's designed to offer the same performance as found in desktop towers, but in a form factor that can literally fit in the palm of your hand. The Neutron Pro sports a similar configuration, but with an Intel Core i5 processor (also based on Haswell), Intel HD 5000 Graphics, and twice the amount of RAM (16GB DDR3) and storage (480GB mSATA SSD). We're a little more intrigued with the Pro version due to the beefier onboard graphics and higher end configuration, though neither one is going to replace a dedicated gaming desktop. However, based on the spec sheets, either system looks capable of being a daily driver, even for some content creation chores like Photoshop. In addition to what's on the inside, part of Neutron's appeal is its external design. 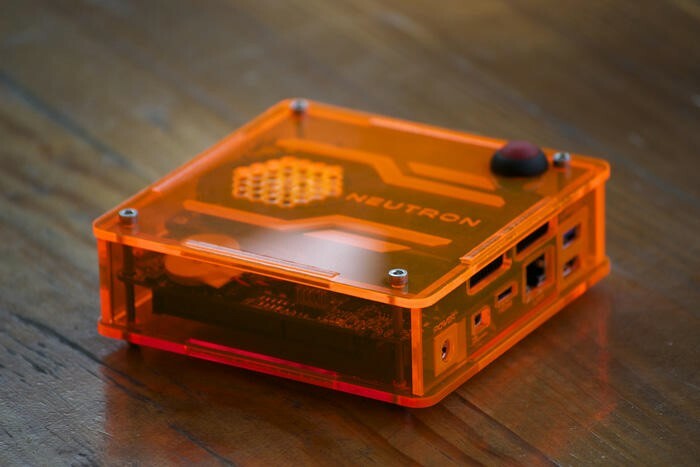 Neutron's chassis is made of transparent acrylic in a variety of neon color options. To learn more, check out Neutron's Kickstarter page.